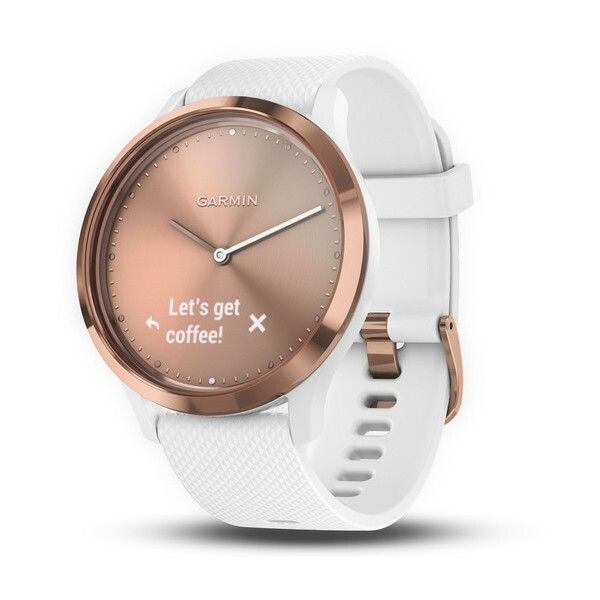 Garmin announced several new products at the consumer electronic show IFA in Berlin, one of the most significant was the announcement for the new vivomove HR. 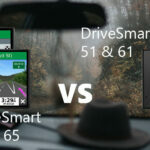 I don’t think this new product was surprising for anyone, based on Garmin’s track record of product iterations. 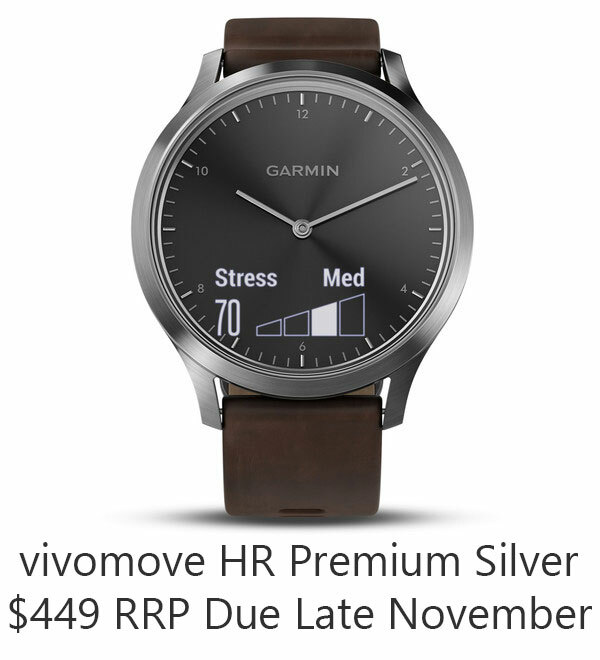 The original vivomove released last year aimed at a lower tier and as such shipped without Garmin’s wrist-based optical HR sensor. That decision was surprising at the time but immediately intimated that the vivomove line would be iterative. 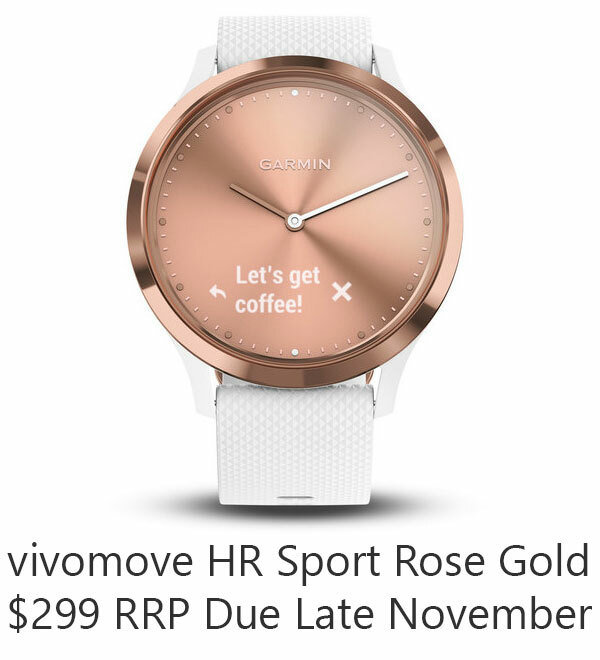 The vivomove HR is currently slated to release late November 2017 with two price tiers, vivomove HR ‘Sport’ (Available in Black or Rose Gold) with an RRP of $299. 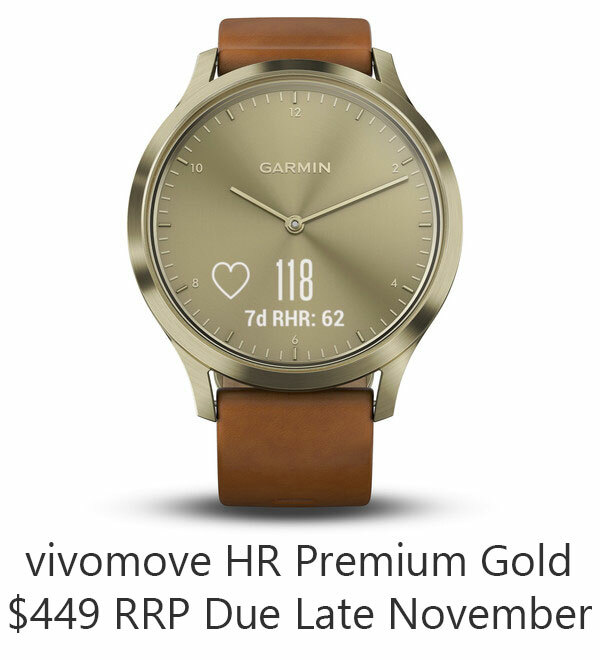 The second tier is the vivomove HR ‘Premium (available with a Silver Bezel and Dark Brown leather and a Gold Bezel with a lighter brown leather band) with an RRP of $449. There are four different models, as shown below. The difference between the premium and the sports watches are the bands that come with the watches. The premium versions come with leather bands while the sports versions come with a silicone band. 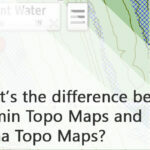 Garmin has made the bands available for purchase individually though, so you’re not limited. 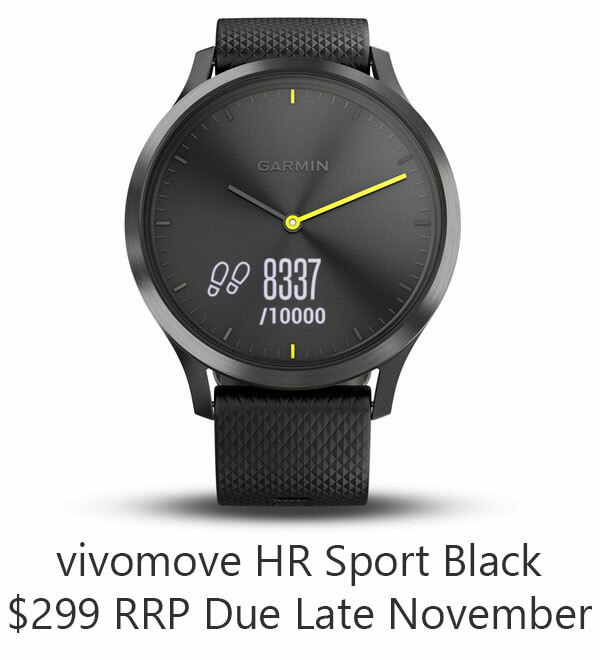 *The vivomove HR is also compatible with the vivoactive three bands. These are the major change factors from the previous iteration, but I’ll include full, and the difference only specs sheets for those interested in every little detail. The biggest change here is the departure from Analogue watch first, Smartwatch second to more of a balance between the two. The vivomove still appears to be a classically designed analogue watch, but it hides a secret, a small touchscreen display. You can tap the screen as shown below or you can turn your wrist, and the watch will come alive. The touchscreen appears very crisp and seems to be quite responsive offering a lot of fitness tracking information. This new feature is a huge step up from the very basic functionality of the original vivomove. I’ll go into more detail for the in-depth review later in the year but the screen can display: a reminder to move, activity tracking functionality (calories burned, floors climbed, distance travelled, fitness age and more). It will also show you a range of HR features including stress tracking via HRV (Heart rate variability). 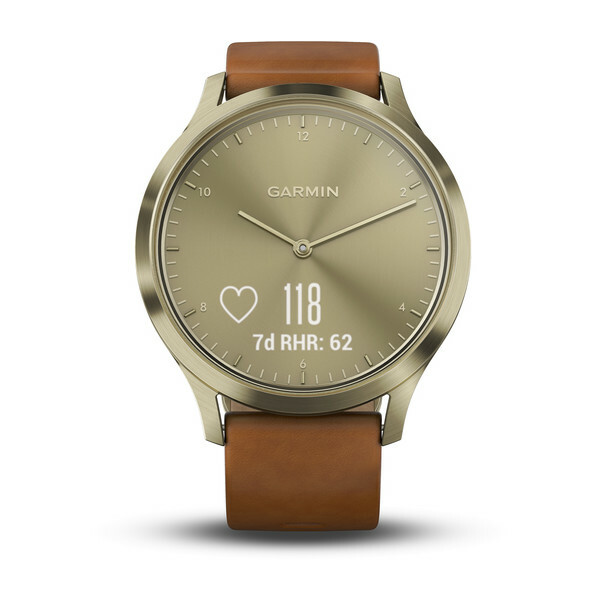 Like any good smart watch, it will also link with your phone (by using Garmin Connect App) to deliver you smart notifications with vibrations for emails, texts, calls, app alerts and social media. The vivomove also has profiles for running, walking and strength training. The vivomove has Garmin's Swim water rating (Garmin’s water ratings) which means it safe in most situations you can even shower with it. The vivomove will also let you control music via the watch touchscreen. You can even send an alert from your watch to your phone if you misplace your phone. Something I haven’t mentioned yet is the significantly smaller battery life WHEN compared to the original vivomove. I’m mentioning this because I’ve had a couple question me about this, the comparison between the units in this regard is apples to oranges. The vivomove HR simply has much more going ‘under the hood’ so to speak. There are a lot more programs and features always chugging away eating up battery power that wasn't present in the original vivomove. Five days for a smartwatch of any kind is an impressive battery life. The vivomove is one stylish watch; I can’t wait to get my hands on it later this year. 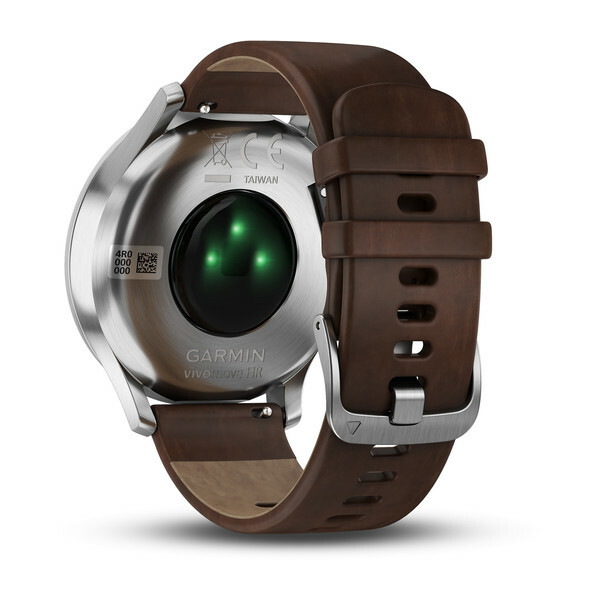 Garmin has done a great job balancing a classic design with modern tech. 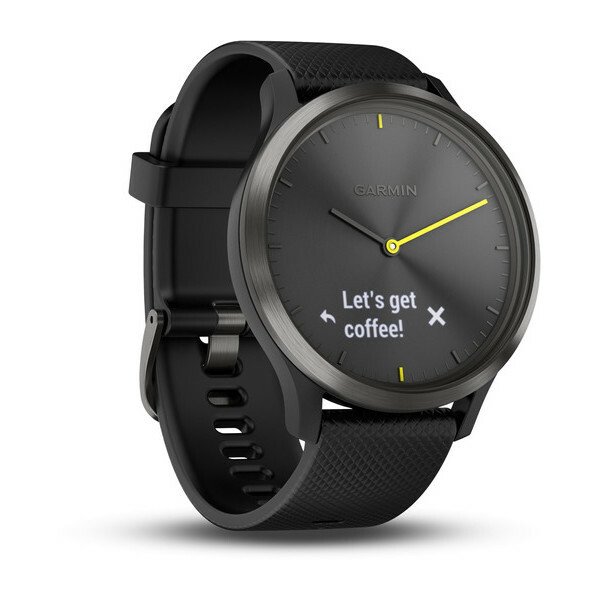 That said, the vivomove lacks in a couple of areas especially comparing it to the new vivoactive 3. I don’t know about you, but a couple of my colleagues keenly noted the absence of cycle features. 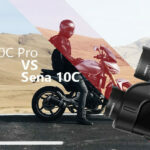 In addition, there have been articles detailing that the display touchscreen does not display well in sunlight, I have not personally used this device outside so we haven't been able to confirm this. There also is no mention of Garmin’s latest and greatest feature ‘Garmin Pay’ which is quickly becoming a staple for ‘Smartwatches’. Personally, I think this is a great watch, but I’ll reserve final judgement until we get our hands on one this summer.